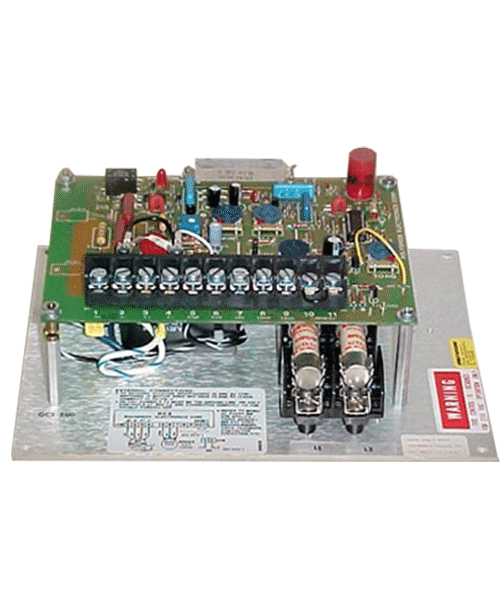 OC1 is an open-chassis, industrial grade SCR control for operating a variable speed DC motor from an AC source. It is suitable for both shunt wound and permanent magnet motors. This moderately priced control has the performance characteristics of many higher cost controls. One basic chassis is used for all 12 standard models. Each model can be field converted to the horsepower rating of any other model with the same voltage. Also, because all components are 230 volt rated, the 115 volt models can be field converted to 230 volt input. An optional conversion kit includes fuses, shunt links, labels and instructions. 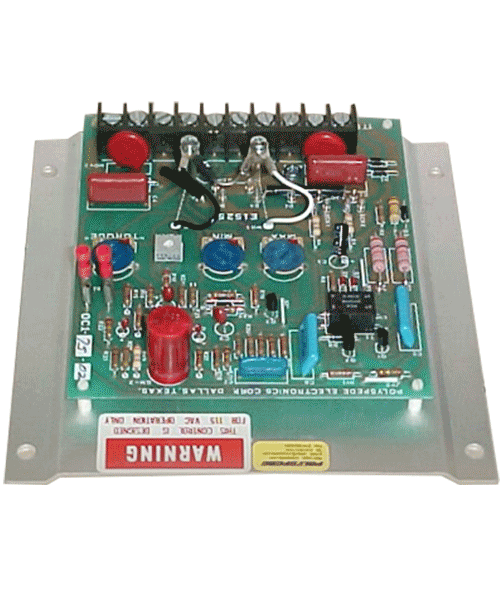 A speed potentiometer, knob, legend plate, fuse block and fuses are supplied loose. These items can be omitted at a reduction in price. 63% of base speed in 0.25 seconds. Adjustable from 0 to 150% of rating. External torque program terminals can set maximum torque in speed program mode or program torque for tension control. Speed potentiometer, knob and legend plate are supplied loose. Jumper selectable armature or tachometer feedback. OC2 control has heavy duty circuit componentsdesigned for reliability, durability and accuracy for tough industrial applications. The OC2 comes with built in features that are options in most controls. Standardized construction keeps costs down and delivery time short. The OC2E is an OC2 in a NEMA 12 dust tight and drip proof enclosure. It is designed for hostile industrial environments. Sealed speed potentiometer, switches and indicator lights are cover mounted for convenient operation.